This is the left front. 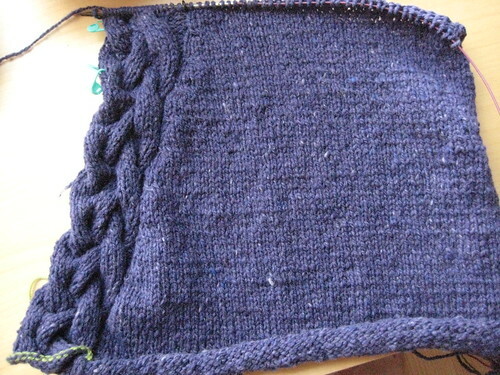 I’ve knit one size larger than I need on 4.5mm needles. The fabric is great and the dimensions are dead on the size I want. 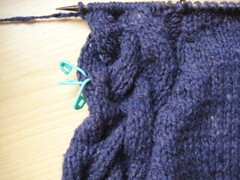 I’ve omitted the 2 stitches of garter stitch that would happen along the cable at the opening of the sweater. 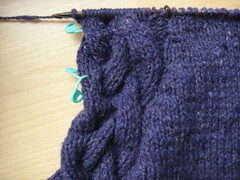 The organic edge of the cable is wonderful and curls in just enough to create its own finish.